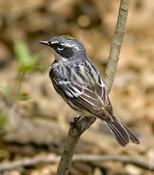 I have created two Warbler galleries. One for Warblers taken only in Central Park and a second for all Warbler species. Central Park is a special place during migration and no other species of birds captures my interest more. For more pictures of warblers please go to the main Warbler galleries here.